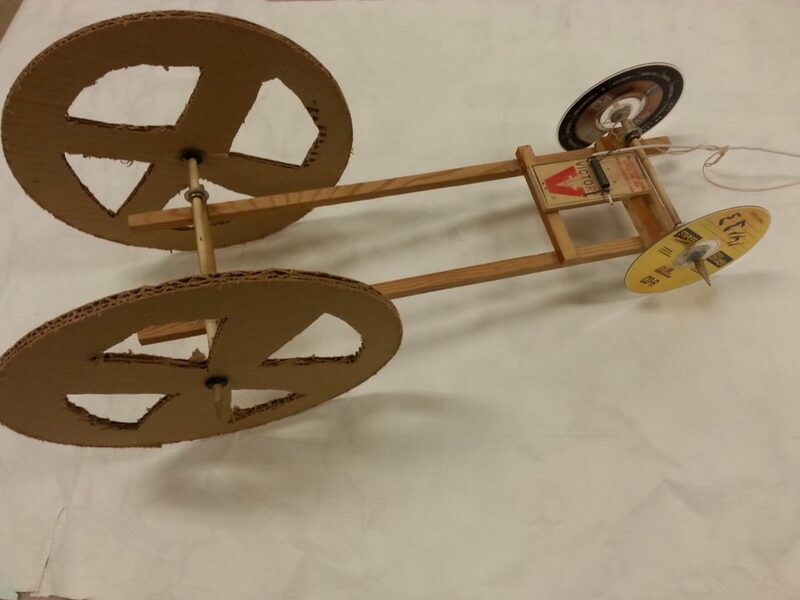 In this project, students are to design a vehicle that uses a single mouse trap as it’s sole source of energy. The vehicle should be designed for distance. Only one mouse trap may be used in the vehicle. The spring of the mouse trap may not be altered in any way. The mouse trap must move forward with the vehicle. The vehicle must start on it’s own. No ball bearing are allowed to be used for the wheels. No elastics may be used for your drive belt. Search the internet for three different mouse trap car designs, such as for speed, slower moving, geared cars, etc. Have five different web sites as your source, and include them in your report.